I’ve been so used to the noise my kids made when they were around. Singing, shouting, arguing, crying, laughing, you name it ! But not that day. That day.. it was a quiet mid-morning. Which was very unusual. But it’s going to be a pretty usual thing now for at least three times a week. Fiorina started Kindergarten two days ago. Iven goes to half-day preschool 3-times a week. Yes..I love it. Yes, I miss my kids at the same time. I’ll survive. I’ll see them when they get home. 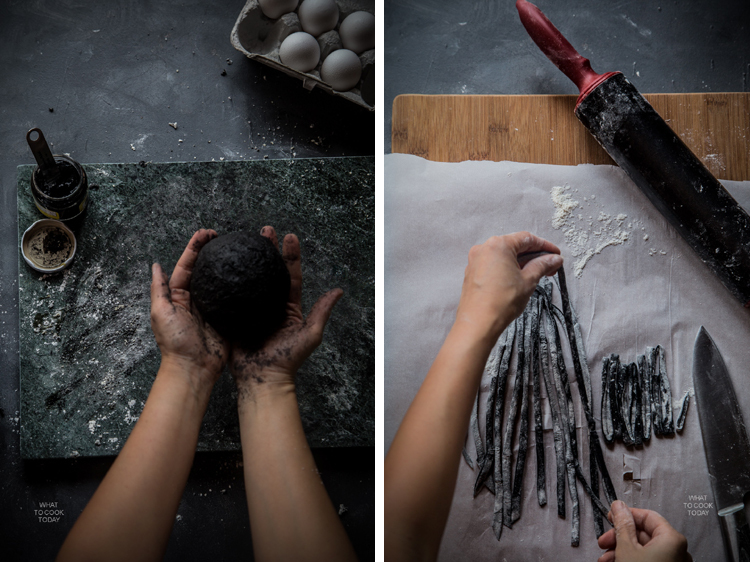 I told myself it really was time to make some squid ink pasta from scratch! 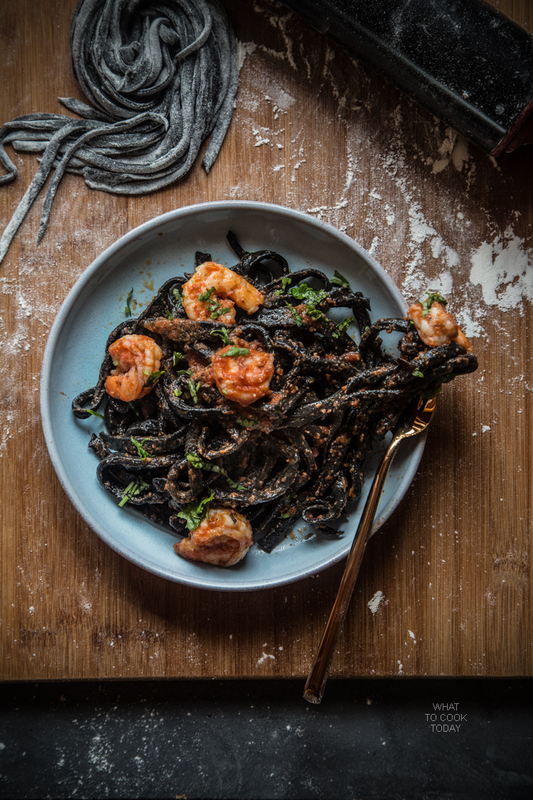 The husband brought back a jar of squid ink pasta when he was at New York. Apparently, shopping for “exotic” ingredients has become his interest too, which I’m totally on board with that. 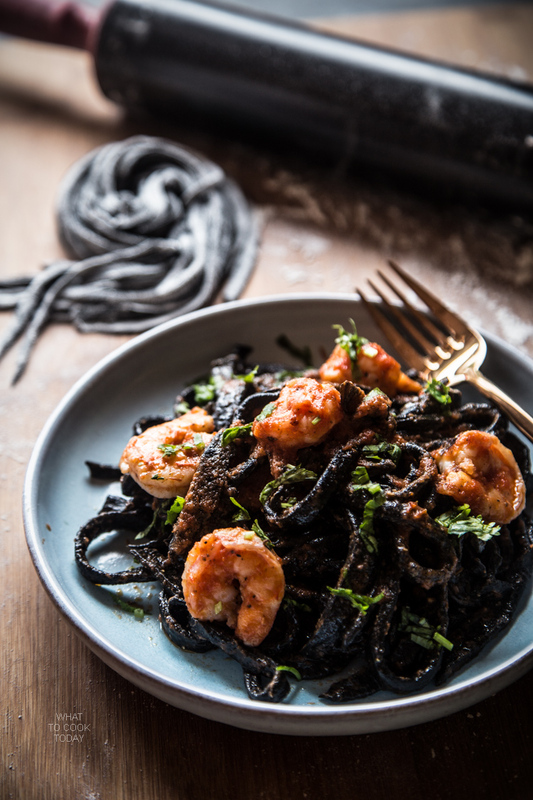 I first fell in love with squid ink pasta when I ate it at a restaurant in Singapore. There was no turning back. It’s like the thing the I ordered when I went to that place. Ask me how squid ink smell or taste like! It has that really strong umami flavor (yucky..for the lack of better words from my daughter) that’s for sure. But, once you cook it, the flavor kinda mellow down and just give you that hint of umami. And I swear to God it really turns everything into pitch black !!!!! But I really love this pitch black noodles. 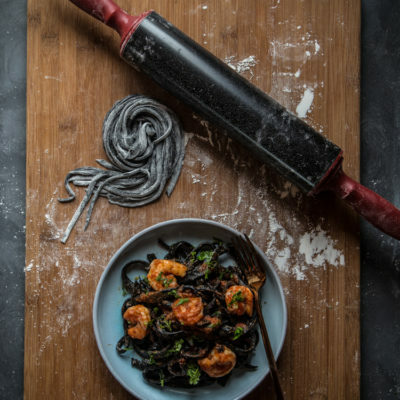 I adapated this homemade squid ink pasta from Serious Eats. 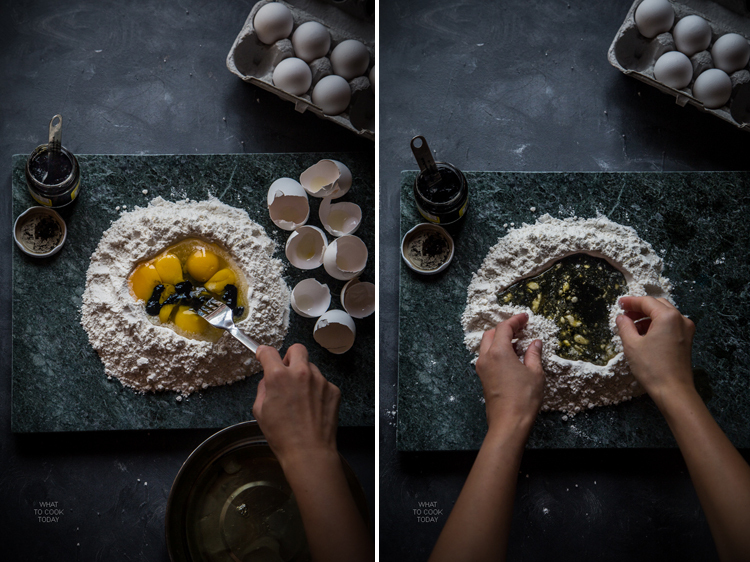 After 30 minutes, dust your work surface with some flour and, cut the dough into 4 sections. Working with one dough at a time and let the rest covered to prevent them from drying out. I really love this homemade garlicky sauce. 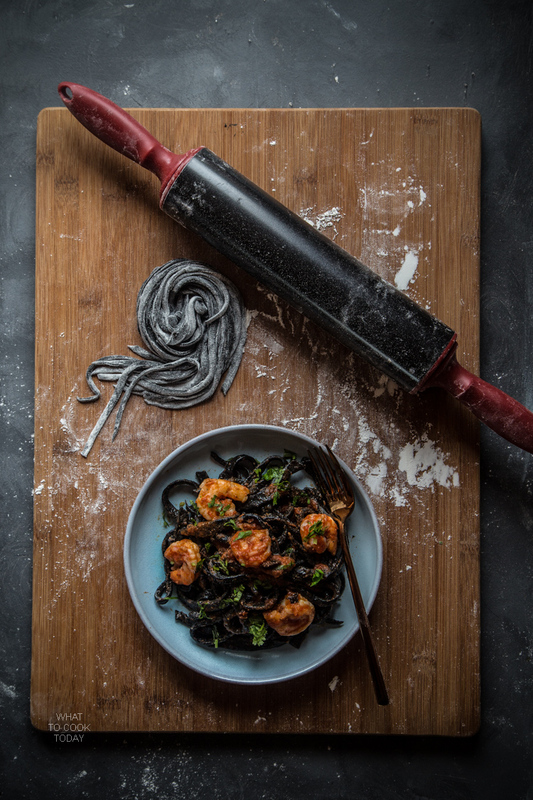 It goes really well with the squid ink pasta. I would definitely be making it again. And hopefully I’ll have a pasta maker by then. Wow such beautiful photos showing the process. You are such a talent. Thank you Soe. YOU are a talent yourself in case you aren’t tired of hearing that yet ! Sweet Heavens, you rock ! Subscribed !